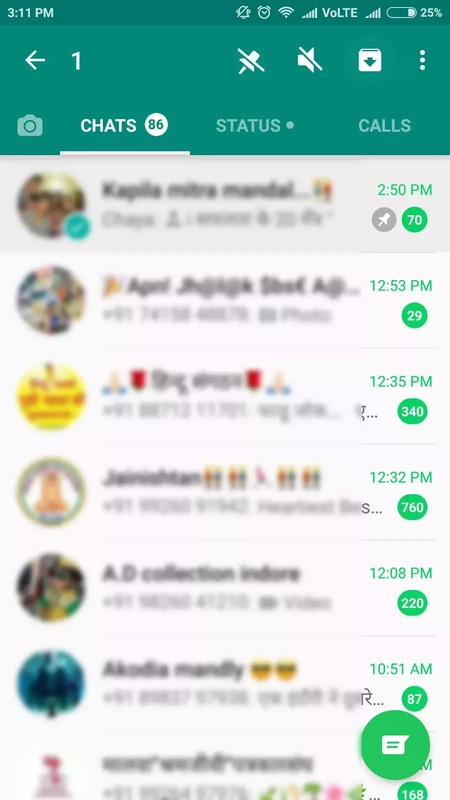 WhatsApp, as we all know, are alway out with new features every now and then to make their app more attractive and fun to use for their users. The messaging giant has just rolled out a new feature called The Pin Chat. With this feature, The user can pin the chat they want to see on top of their chat screen. The pin chat feature will primarily help in quick access to their most loved conversations. WhatsApp is also working on Live Location feature along with payment platform which will be out soon to the general public. The Pin Chat feature is available on WhatsApp Android Version 2.17.162 and above. This feature allows the user to Pin three contacts at a time so that the unread messages should have some room to appear. Unpinning is also very easy, with the pin option appearing on long-press on the particular chat block. With this new update, you are surely not going to miss any message from your girlfriend/Wife. You can pin and unpin any Contact chat for countless time with ease. The pinned contact chat will appear with a different pin symbol on the right end of the particular chat block, which makes it easier for the user to recognize which chat is pinned and which isn’t. The update is in beta, and the user may see it in the final update every soon.